Updated plans for the £37m Gulliver's Family Theme Park resort adjacent to Rother Valley Country Park are going on show before they are submitted later this year. Gulliver's, the operators of theme parks in Warrington, Matlock Bath and Milton Keynes developed an initial masterplan for the first of their sites in the UK to encompass all their major family entertainment elements in one location with new attractions exclusive to Rotherham. As a result of comments received at the pre-application public consultation on the development proposals and information gained during Gulliver's due diligence exercise that identified potential ground contamination on the site of the former Brookhouse Colliery known as Pit House West, Gulliver's submitted a revised proposal to the Council to buy a reduced area of the site (approximately 250 acres rather than the full 330 acres). Consultation events have now been planned so that the local community can see the latest masterplan, which will still provide essentially the same scheme as previously consulted on albeit over a different development area. For example, the main theme park area is set to be relocated from the North West to the centre of the site, with the entrance now at the East of the site on Mansfield Road rather than Chesterfield Road. The proposals for a year round destination aimed at 2 - 13 year olds include a theme park hub, woodland adventure centre, ecology and education centre, camping, up to 300 lodges, a hotel and holiday village. Expected to be built in four or five phases over 12 years, the theme park would come first and further developments would follow afterwards. The development is expected to be funded through business profits with no borrowing requirements. When it is up and running there are likely to be 400 jobs at the park, a number that was likely to increase. Hundreds of jobs would be created through the construction period which is set to be sustainable and done by in-house and local suppliers. A statement from the family company said: "Gulliver's are working towards regenerating the Pit House West site and creating a brand new family theme park resort. The development will incorporate a theme park hub, guest accommodation and community facilities. We'll be hosting a consultation event for the local community so please feel free to drop by and meet the team." Events are planned for August 2 at Aston Library and Customer Service Centre in the afternoon and Kiveton Park & Wales Village Hall in the evening. 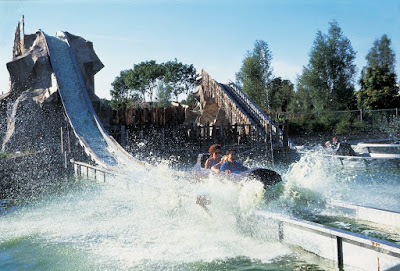 The initial masterplan showed that the theme park would have attractions and rides including Gulliver's Castle, a log flume, rapids, pirate ship, mine train, JCB zone and adventure play areas. 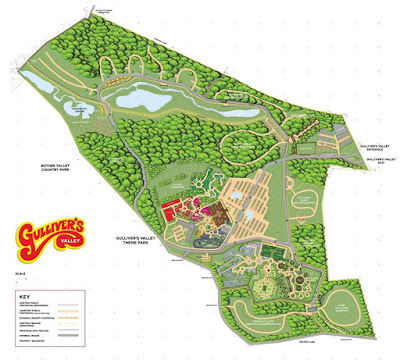 Gulliver's Glade Adventure Park would include rock climbing, a mud slide, a toboggan run and treetop rides. A castle hotel with 50 bedrooms, lodges and tents are also included along with a Wilderness area with a second hotel with 90 bedrooms and a spa, plus further lodges. Other features include a mountain bike trail, a maize maze, Segway track, space for "glamping," open and group camping zones close to the country park and a pet resort. The land sale has been approved by commissioners at the Council and will be dependent on securing planning permission. The latest agreement includes conditions that specify that a planning application from Gulliver's must be submitted by September 2016. The excluded area at the North West of the site will now be retained by the Council.